Become an advanced research expert without an advanced degree. 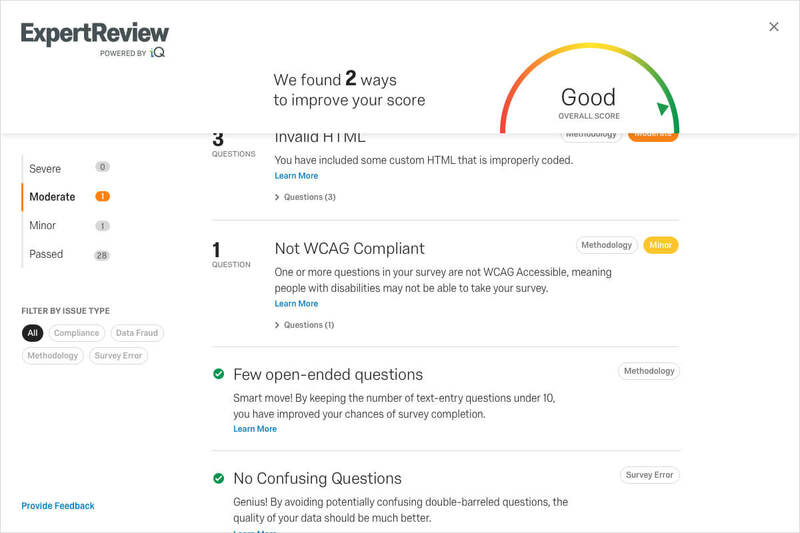 Introducing ExpertReview. 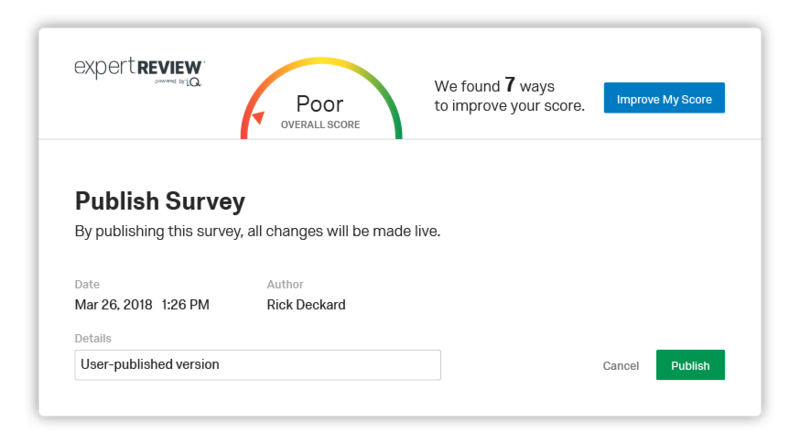 Boost response rates and ensure every survey delivers the highest-quality data with ExpertReview, powered by iQ. Our advanced artificial intelligence and machine learning monitors your survey in real time and offers recommendations to improve the quality of the overall survey and individual questions — giving you confidence in every project, regardless of your level of expertise. Higher standards. A lower chance of messing it up. Avoid painful and costly research errors that come from poorly-designed surveys. 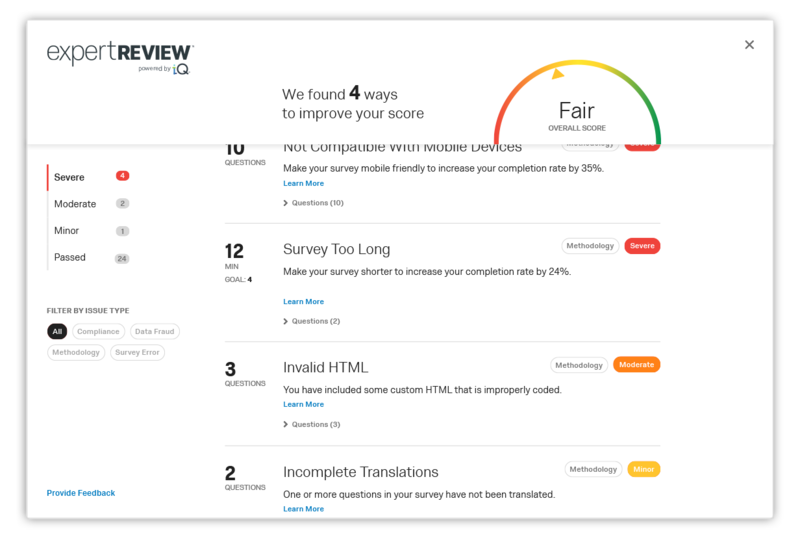 ExpertReview automatically flags problems like: broken question logic, mobile compatibility, legal compliance issues, and even potential bias in survey question wording, then helps you take the steps needed to correct any problems. These Ph.D.-designed best practices — proven effective in the real world — eliminate the need to send out endless test surveys to coworkers and other researchers. ExpertReview catches problems automatically, allowing you to launch your project with confidence every time you hit the send button. Launch research projects knowing the methodology is based on analysis of millions of live surveys, so you’ll know all the best practices to follow and all the pitfalls to avoid.